#Friday in the #ArtStudio. Wrap up the week #Strong! Lincoln finished sculpture… Visit the website HERE! 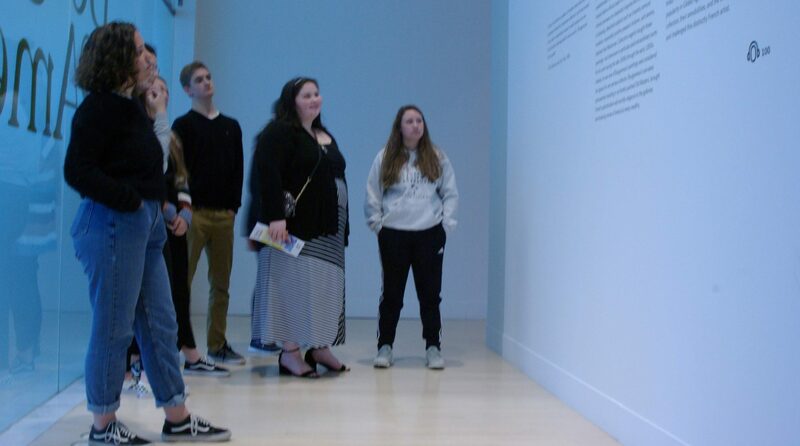 What portions of your sculpture do you see as ADDITIVE, SUBTRACTIVE, and MANIPULATIVE? Describe in DETAIL the areas – use imagery as descriptors. What was the biggest challenge you had with using clay and creating a three dimensional artwork? Monday is the LAST DAY – make sure you are wrapping it up TIGHT for the weekend. Painting – Finish the MID Crit – “I don’t want to do a mid-crit – I’m not DONE!” PAINTINGS by the WUHS Painting Class – HERE! 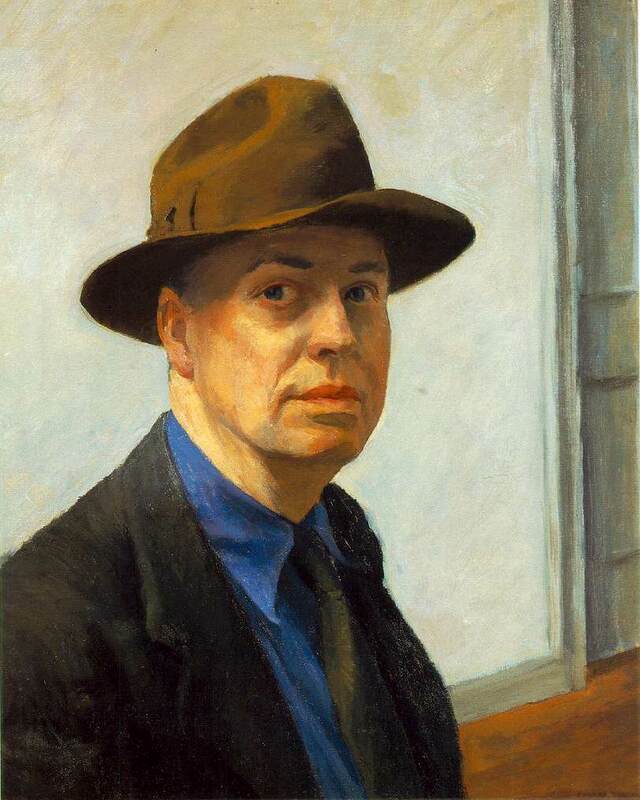 Edward Hopper’s Self-Portrait – Background has a feel of one of his other paintings… what’s happening in YOURS? What’s been the biggest / best thing you have learned about the use of oil paints this week? What has taking this portrait from a continuous line contour drawing helped you with in making the painting? If you HAD TO EXPLAIN – why is this working or not working for you? Tonight at MIDNIGHT CHAPTER 6 is due in Art and Fear Blog. Who’s NOT READING? Donald Sultan – WEBSITE! Working on YOUR body of work! Friday – Day to work. How did your conversation go with Mr. Korb yesterday? It didn’t – going to happen TODAY! What are your plans for your new works? Let’s get yourself working. Give yourself a few moments to think about the work you have ahead of yourself and write them out for your own good. What have you lined up for the weekend? What are you taking home with you this weekend? Are you done with your website? Previous PostPrevious We have a FULL CLASS PERIOD! Let’s work HARD Today!